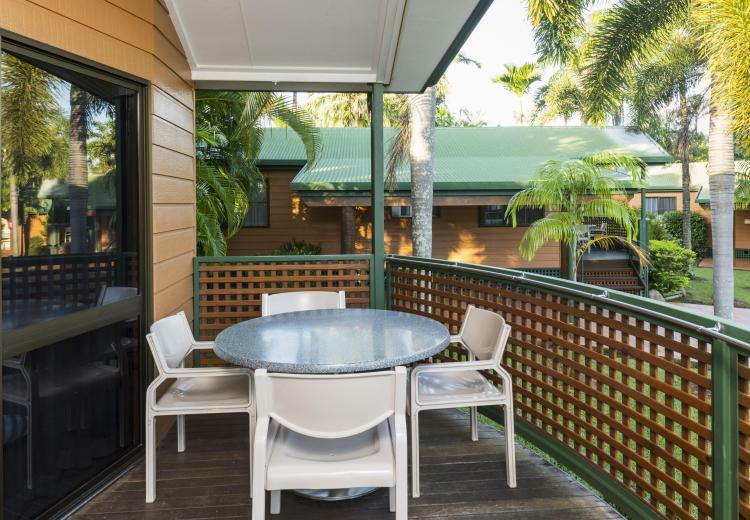 Surrounded by a mountain backdrop 2 bedroom Spa Villas boast a corner spa and undercover car parking. 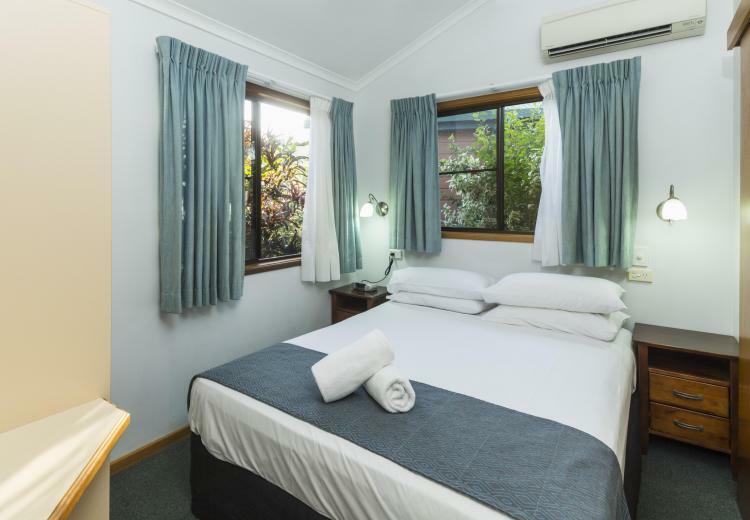 Our 2 bedroom option offers a queen bed in the main bedroom, a set of bunks in the second bedroom and a fold out sofa bed in the lounge. 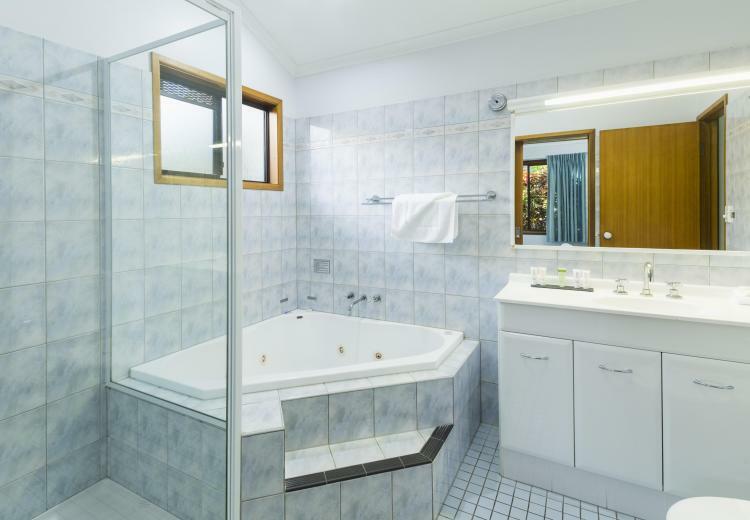 This accommodation features a spa bathroom with mood lighting, vanity and toilet. 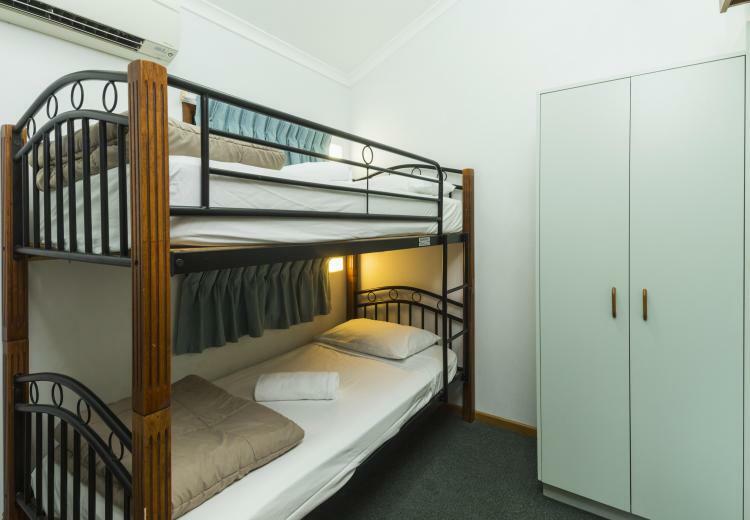 Linen and bath towels are included. 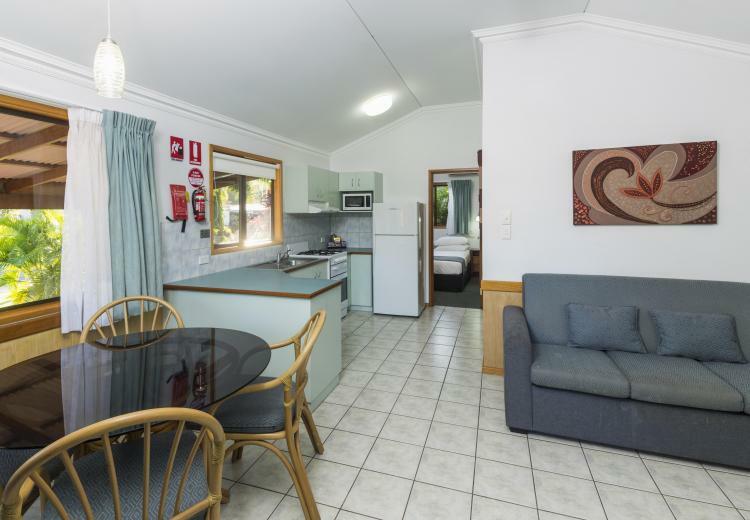 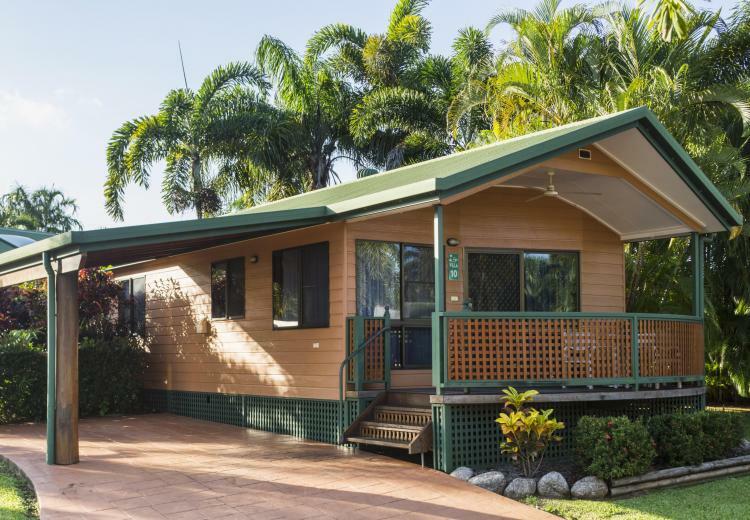 Facilities include a full kitchen with large fridge, microwave, oven and cooktop, two colour televisions, split system airconditioning, Austar TV (ten channels), spacious patio and outdoor setting with undercover parking.